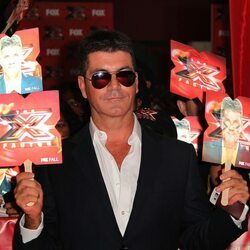 How much is Simon Fuller Worth? Simon Fuller Net Worth: Simon Fuller is an English entrepreneur, artist manager and television producer who has a net worth of $560 million. Simon Fuller was born May 17, 1960 in Cyprus, England. He is best known as the creator of the 'Idol' franchise, which was first seen in the U.K. under the name Pop Idol and created No. 1 rated shows in other markets as well, including American Idol in the U.S. The franchise has now been sold to over 100 countries around the world. Fuller is also the co-creator and executive producer of the Fox TV reality shows So You Think You Can Dance, Q'Viva and other U.S. and European TV shows. Fuller first came into prominence through managing the female pop group the Spice Girls. He has managed a wide range of talent that includes David and Victoria Beckham, Annie Lennox, Sir Bradley Wiggins, Steven Tyler, Lewis Hamilton, Andy Murray, Amy Winehouse, Carrie Underwood, Kelly Clarkson, Will Young, Emma Bunton, Lisa Marie Presley, Gary Barlow, Cathy Dennis, Aloe Blacc, Steve McManaman and others. He also formed a partnership with the duo Jennifer Lopez and Marc Anthony. In 2007, Time magazine named Fuller one of the 100 most influential people in the world. In 2008, Fuller was certified as the most successful British music manager of all time by Billboard magazine. He was also honored with the 2,441st star on the Hollywood Walk of Fame on May 23, 2011. In the Daily Mail in 2012, music promoter Harvey Goldsmith ranked Simon Fuller at No.1 in a list of the greatest British Entrepreneurs, saying of Fuller, "…he is a man of real vision." Fuller also holds a portfolio of real estate which includes properties in Europe, North America and South America. 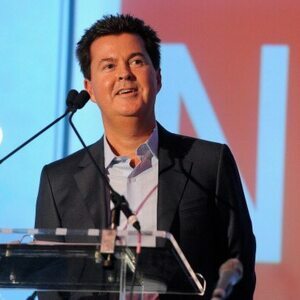 Simon Fuller married long-time girlfriend Natalie Swanston in May of 2008, and they had a baby daughter.